Your external site and LMS/DLS web-site — two different resources: external and internal. External site — it's like your business card, which should be not only beautiful, but also well-designed and optimized for search engines. Internal optimization — it competently built website: html-tags and attributes, meta-data, the speed of the site, etc. interlinking. Website promotion — external promotion, reference weight, social networks and so on. Today most people became active Internet users. When it’s time for prospective students to make a decision about their future studies, they look thoroughly for the information about higher education with a help of search engines. Before making a call or visit the educational institution, more than once they will visit your site and compare your services with the services of your competitors. Thus, applicants need a separate web-site which is easily found by search engines. This web-site will be able to outfit all requested information. Our profound experience in educational sphere allows us to create beautiful, comfortable and functional web-sites. Due to this resource, the prestige of an educational institution and the quantitative and qualitative composition of the students increase. Not only is the external web-site of the educational institution required for the best effect, but also the maintenance of its traffic and the effectiveness. Specifying appropriate requests, such as “accountant courses” or “declarant courses,” people usually surf from 3 to-5 top web-sites. However, at the present level of the Internet development, it is impossible to bring your site to the top five of a search engine’s page ranking without its optimization. The fact is that «client» is OK, he just chose a more concise, beautiful competitor’s site that was, though not in the first place, but in the first ten / first page before viewing this site 3-5 competitors who were in higher positions. Visitors loyalty and satisfaction (usability, social marketing). For our clients we choose symbiosis of balanced foreign optimization competent internal optimization (very often a question may arise about the update or WordPress sites development (fresh, beautiful, functional), immediately warned that this is not «services of thumb sucking», more on this you can read here) and carefully targeted contextual advertising, or for the first time, or permanent. At the simplest example, consider a sample cycle steps to attract potential customers to your LMS. Thanks to SEO-Optimization external site search engines index the site and put it on a profitable position for certain search queries. People come into your site. 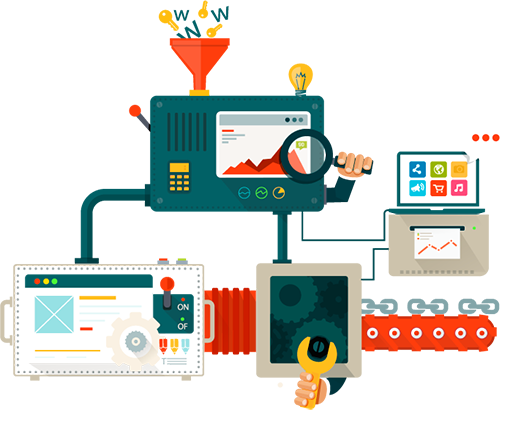 Visitors comes into your external website where he sees a beautiful functional site, as well as a link in a prominent place, the logo of your external projects. Stylish design enhances loyalty. Targeted visitor studies materials as your external website and online LMS. Proper nice site design and materials on the websites coerce him to become exactly your client. be structured, help users to find information quickly. However, the correspondence to the all criteria does not guarantee results. If the web-site will be uncomfortable and/or will contain useless, non-unique information, a user will immediately leave it. 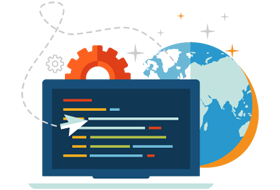 Therefore, we pay a special attention the design and usability while creating your website. 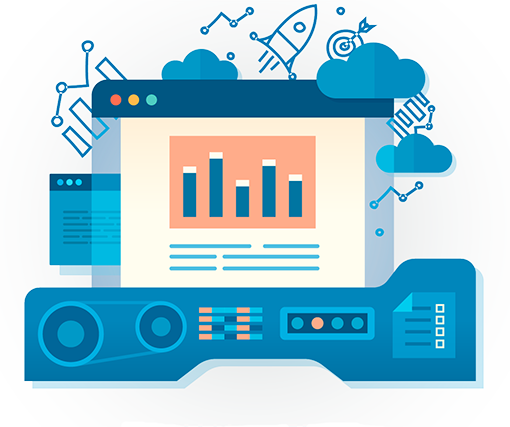 A quality website optimization helps it to be useful both for people and search engines. While working with your resources, first of all, we will find a relevant semantic kernel. This is a list of requests which are often used by your prospective students. This list will be necessary in meta tags optimization, the text content preparation, and, in future, it will help with working on the external factors. Also, as part of internal optimization, we perform relinking, develop a correct file robots.txt, give an advice on the photo and video content, etc. Beautiful and optimized website is not everything. In order To get into the top of a search engine page ranking, it is highly necessary to gain sufficient credibility. The famous analogy with world of science is quite appropriate here: the most respected scientists are those which are the most commonly cited. provide the citation of the site (we will buy links), etc. Most of the work on the external promotion is a process of links building. It is highly important to not only have a positive impact on the positions’ growth, but also do not harm. That is why we use only proven algorithms of the site placement selection, its promotion, eternal links and other techniques. 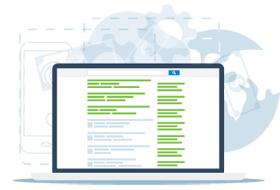 Only quality links to your site posted on the topical resources will provide not only the site position improvement but also an additional traffic (visitors). A combination of external and internal promotion will provide the desired result. After 5-6 months of work on the optimization of your site will take a leading position in the organic search results. But how to get clients before this? Contextual advertising is a block of the SERP (Search Engine Results Page), located a little on the side and above the search results. 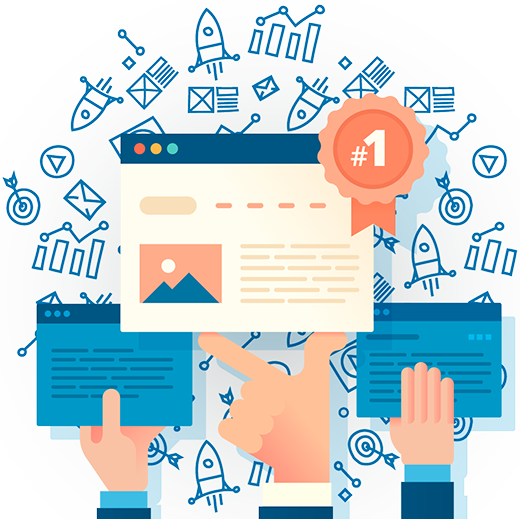 As long as your website is not enough optimized and do not obtain the top positions, contextual advertising will bear the main stream of applicants. 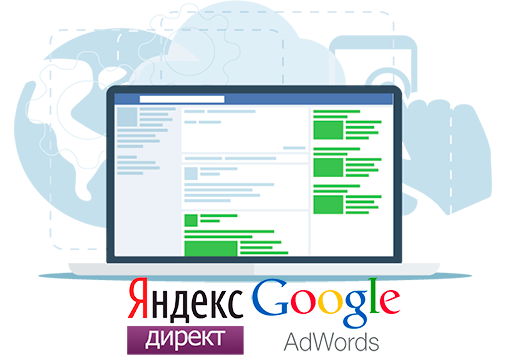 The main context systems are Yandex Direct and Google Adwords. 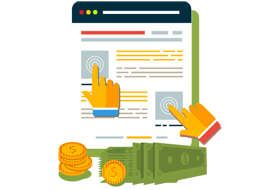 While showing contextual ads linked to your resource on base of the auction, they debit the money for website referrals from your system account. It is important to evaluate the structure of the advertising campaign, to arrange it, to prepare texts for ads. Consequently, the budget is spent more economically and efficiently. The target audience will see the ads, and therefore, the percentage of the future students, will be higher. Another important factor is that the increased number of visits will have a positive impact on the SERP. It’s essential not only to adjust the advertising campaign correctly, but also to make corrections timely. If the structure is faultless, then the analysis will be simple. As a result, the received conclusions will help to reallocate funds in favor of more effective directions and debug settings for greater efficiency. We will analyze your target audience and pick out the social media, which provide the most effective return. 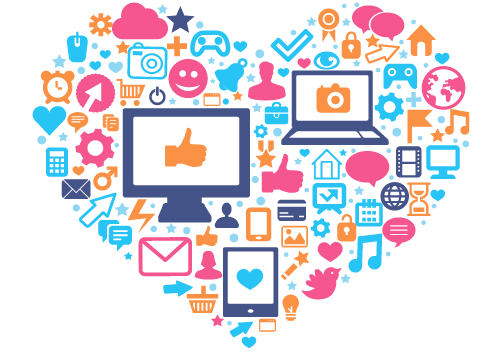 Social marketing is able not only to boost loyalty but also to attract applicants with a help of targeted advertising. Certainly, the right information, timely derived from social networks, will help an applicant to make a final decision in favor of your educational institution. Site optimization of the educational establishment has its own specifics. 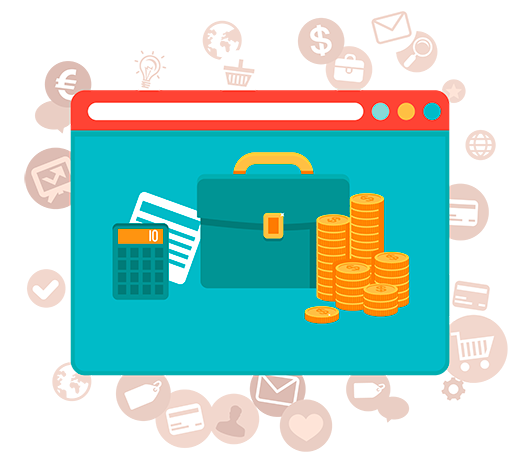 Having a great experience with this subject, our team will surely help your web-resource to take the top positions in SERP. You will make sure of that by examining the successful results of our clients. After the termination of the works on the site of your educational intitution, you’ll be able to control the positive dynamics of your own project development in the Analytics and Metrics.